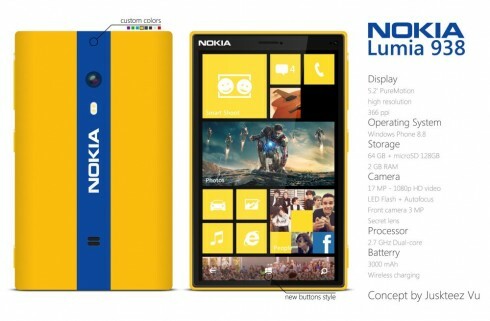 Created by Juskteez Vu, the Nokia Lumia 938 is a fresh Windows Phone concept with a pretty big display compared to other Lumias. This handset features a 5.2 inch PureMotion high resolution display with a 366 ppi pixel density. On board we’ve got the Windows Phone 8.8 operating system and other specs include 64 GB of storage, a microSD card slot with support for 128 GB, 2 GB of RAM and at the back there’s a 17 megapixel camera with Full HD video capture, LED flash and autofocus. Upfront we’ve got a 3 megapixel camera with a hidden lens, to keep the uniform design of the facade. 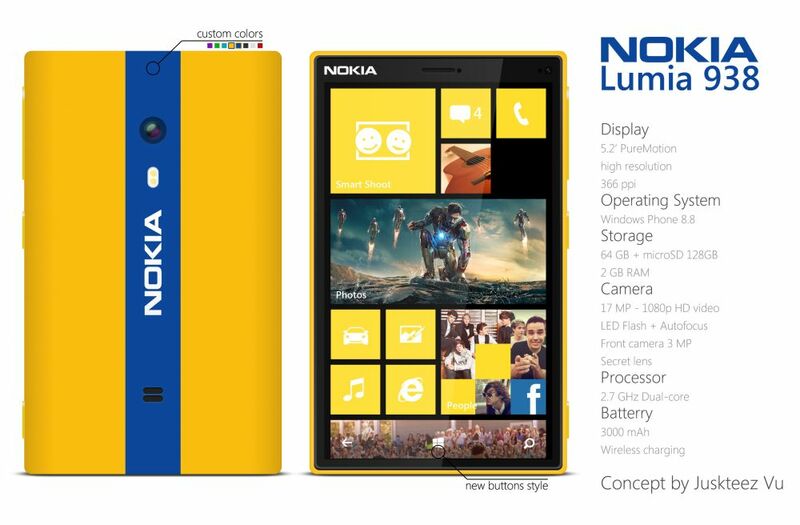 Inside the Nokia Lumia 938 concept there’s a 2.7 GHz dual core processor and a 3000 mAh battery. We’ve also got wireless charging support and as you can see, the smartphone is rather wide and brightly colored. We’ve also got a new button layout, on top of the display. Interesting, right?